According to a study released this week by global consulting group Mercer, the best U.S. city to live in is Honolulu, Hawaii. However, the study reviews hundreds of cities around the world, and Honolulu ranks worse than 27 other major metropolitan areas. This includes two cities from New Zealand, four from both Canada and Australia, and more than a dozen from European countries like Switzerland and Germany. Mercer’s 2012 Quality of Living Survey looks at the largest cities in the world and takes into account dozens of metrics, including internal stability, law enforcement effectiveness, education, crime levels and the quality of health care in the city. 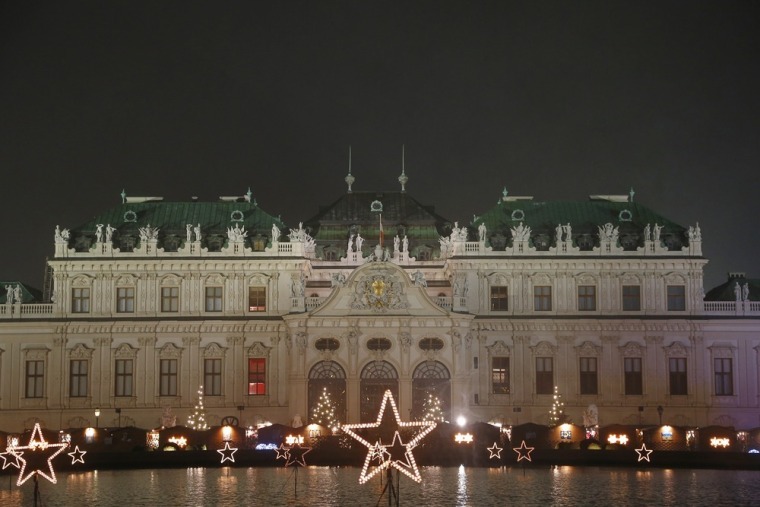 This year, the best city in the world to live in is Vienna, Austria. The worst city to live in is Baghdad, Iraq. Based on Mercer’s report, 24/7 Wall St. reviewed the cities with the lowest and highest quality of living. In addition to being in stable areas, these cities are in countries with wealthy populations. GDP per capita in these countries is among the highest in the world, with none ranking lower than 25th in that category, globally, according to data from the International Monetary Fund. This includes Canada, which has the ninth-highest per capita GDP in the world, Denmark, which has the seventh-highest, and Switzerland, which has the fourth. One new factor considered by Mercer for this year’s report is the quality of each city’s infrastructure. Included in this analysis is a review of the city’s public transportation, the level of congestion, and the availability of flights to and from the region. The majority of these high-ranking European and Canadian cities perform well in this infrastructure measure. Six of the 11 best cities to live in also rank in the top 10 for infrastructure. On the other side of the list, the majority of the least livable cities are located primarily in Africa, but the list is more geographically diverse than the best-ranked places. War-torn regions like Baghdad and Tbilisi, Georgia, are on the list, as is the earthquake-devastated and extremely impoverished Port-au-prince, Haiti. Eight of the 10 countries on this list are among the worst primarily because they are the most dangerous on earth. The U.S. Department of State has issued travel warnings for many of these countries due to extreme violence, robbery, and the murdering of tourists. Some of these countries are actually on the brink of war or in the midst of one, either with rebel groups or other nations. The proportion of adults dying before the age of 60 is incredibly high in these countries. In the Central African Republic, where second-worst ranked Bangui is located, nearly every other adult dies before he or she reaches the age of 60. These places are also extremely impoverished. GDP per capita is among the lowest in the world. The Democratic Republic of Congo, where 10th-worst ranked Kinshasa is located, has the lowest GDP per capita of any country measured by the IMF. In the Central African Republic, more than 30 percent of residents live on less than $1 per day. In the Democratic Republic of Congo, it is more than 50 percent. Based on Mercer’s 2012 Quality of Life index, which reviews 460 of the largest cities on earth based on 36 separate criteria, 24/7 Wall St. reviewed the 10 that were rated as having the worst quality of life, and the 11 that were rated as having the best quality of life. For our analysis, we also reviewed the GDP per capita data from the IMF and income and poverty data, infant and adult mortality, which all came from the United Nations. All data are for the most recent available year. Vienna, the capital of Austria and its largest city, has the world’s highest quality of living, according to Mercer. The city is a popular tourist destination, with St. Stephen’s Cathedral and the Imperial Palace among the most popular sites. Vienna is also the main hub for Austria’s economy -- one of the world’s strongest, with a GDP per capita of $49,688 in 2011, slightly higher than the U.S. figure of $48,328. Last year, Austria had the lowest unemployment rate in the Eurozone, at 4.2 percent according to the IMF. Auckland is New Zealand’s most populous city and its busiest transportation hub. It is also the country’s largest port, exporting metals and farm goods and importing petroleum and other commodities. The city is currently planning an innovation precinct, an area the project’s planner, Waterfront Auckland describes as being “where a cluster of companies ... will accelerate the growth of high-tech ideas into commercial success.” Despite its size, New Zealand was ranked one of the world’s more competitive economies in the World Economic Forum’s Global Competitiveness report. GDP per capita in 2011 was $35,973, which is among the top 25 countries in the world. The U.S. State Department notes that the crime rate is low and has been decreasing recently. Baghdad, along with other parts of Iraq, were significantly damaged by air strikes during both the Persian Gulf War of 1990-1991 and the Iraq War, which began in 2003. Much of the Iraqi population still lacks adequate drinking water and the country’s sewage system is in poor condition. Although Iraq is a long way from recovery, the CIA World Factbook notes that “an improving security environment and foreign investment” have helped spur economic activities in sectors such as energy, construction and retail. Government revenue has also benefited from rising oil prices. Port-au-Prince, the capital of Haiti, has the lowest quality of life among all cities located in the western hemisphere. The city, along with the rest of Haiti, was devastated in early 2010 by a 7.0 magnitude earthquake. At least 230,000 people died, while another 300,000 were injured, although exact figures remain unavailable. The earthquake resulted in about $7.8 billion worth of damage. Despite all this, Port-au-Prince has some tourist destinations, which the government has touted to help it rebuild the country.